Saying that Barbados is one of the most popular vacation islands in the Caribbean, would be an understatement, in fact, hundreds of thousands flock to their shores every year and spend their vacation enjoying an abundance of high-quality accommodations, all inclusive resorts, or smaller intimate lodgings with friendly Five -star personal service. Centrally located on the west coast, this beautiful property sits on lushly landscaped grounds with its own private fresh-water swimming pool. Best E. Villas (Prospect Village) is the flagship of the Best E. Villas. The property hosts both two and three bedroom accommodations, offering much more than a vacation but an experience, with incomparable home-style living with all the amenities one could ask for and more! 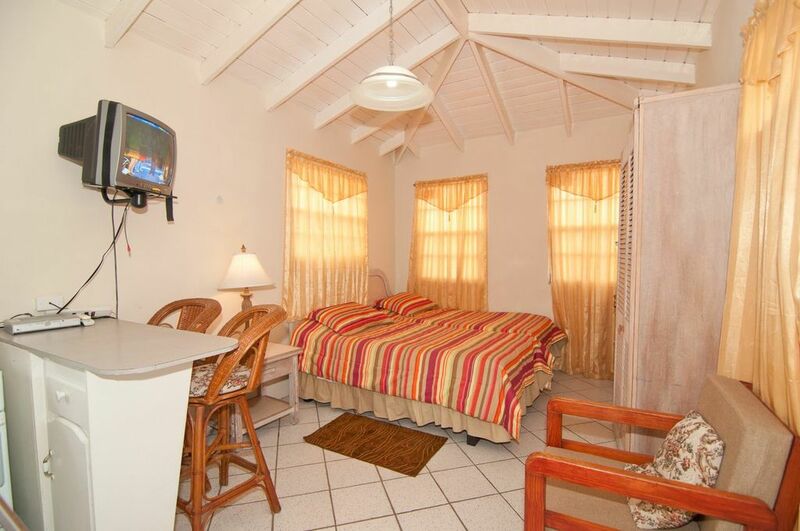 Carvette Apartments is a tropical, family-owned business with four very comfortably outfitted, fully self-contained, studio apartments. Carvette’s has the experience and know how to ensure that your stay is a perfect one, whether on holiday, visiting family or conducting business on island. They seek to cater to all your island needs or, if you so desire, will provide you with a home away from home that can be just what the doctor ordered. This hospitality is what makes repeat visitors to island also return to Carvette Apartments again and again. Guinea Plantation may be off the beaten path but it is an up and coming hot spot for Weddings & Events. Located in scenic St. John, it was one of the first sugar plantations built on the island and references to Guinea Plantation date as far back as 1654. Today they cater to weddings, events and tours. Picture intimate gardens, roof deck, Jacuzzi & pool, a bar & lounge, bridge and a picture perfect plantation, lovingly restored. It is the perfect backdrop for a truly memorable afternoon wedding or event. The grounds offer a myriad of photo opportunities and the beautifully appointed, bridal suite & grand bedrooms provide wedding day privacy and comfort. Stay at the luxury Hilton Barbados Resort, which enjoys a stunning location on a 17th Century fort, on the lush tropical peninsula of Needham's Point and great weather year-round due to its ideal location in the West Indies of the Caribbean. It is perfect for couples, families and discerning business travellers. Just five minutes from the island’s capital, Bridgetown, and 20 minutes from Grantley Adams International Airport, this 100% non-smoking Caribbean resort is a true tropical paradise. 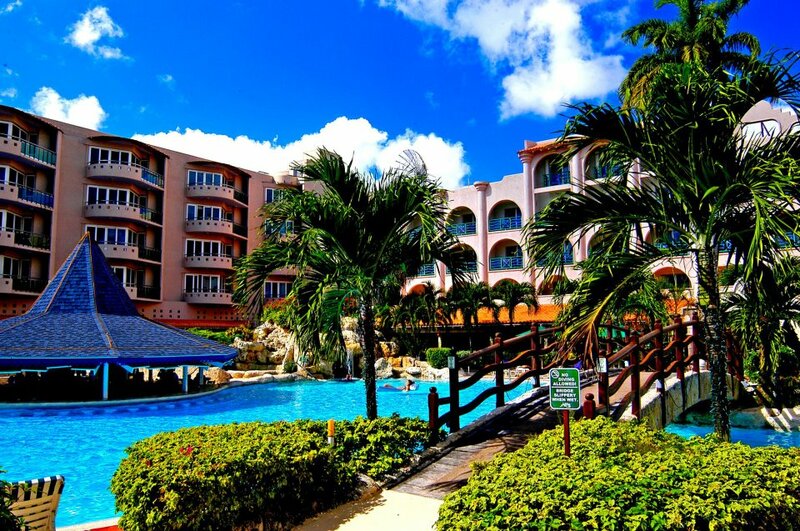 A true gem among luxury hotels in the Caribbean, Treasure Beach Hotel & Spa is one the finest and most popular hotels on the West Coast of Barbados. Located on one of the most beautiful sandy beaches on the Platinum Coast, Paynes Bay, this 35-room all suite luxury hotel is set in lush, tropical gardens with stunning veiws overlooking the Caribbean Sea. The luxurious suites are arranged in a horseshoe shape around the fresh-water swimming pool. CLICK LEFT OR RIGHT ON THE CAROUSEL BELOW TO SEE MORE. 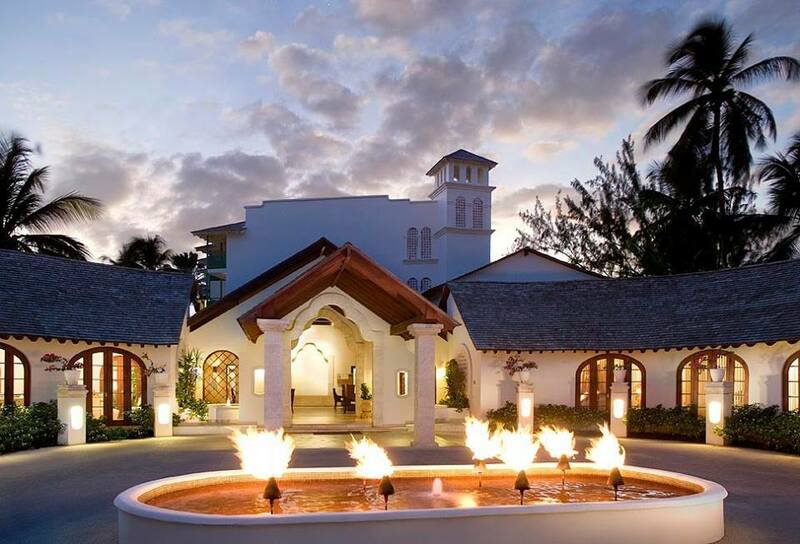 Said to be an oasis of sparkling tranquility, this three and a half acre, 4-Star facility, was awarded Hotel of the Year by the Barbados Hotel and Tourism Association in 2002 and 2005. It is ideally located on one of the island’s most pristine, sandy beaches on the lively south coast. 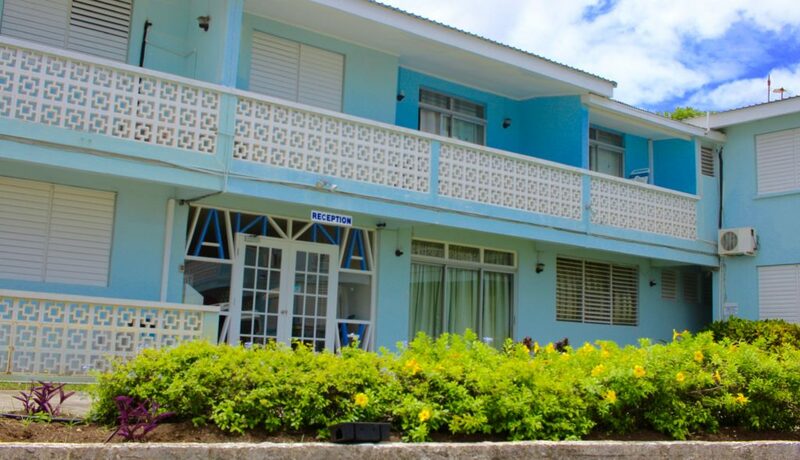 Located on a magnificent stretch of white-sanded beach at Worthing on the popular South Coast of the island, Blue Orchids Beach Hotel is a cluster of 3 buildings set amidst lush tropical gardens and casuarina trees overlooking the beach and ocean. 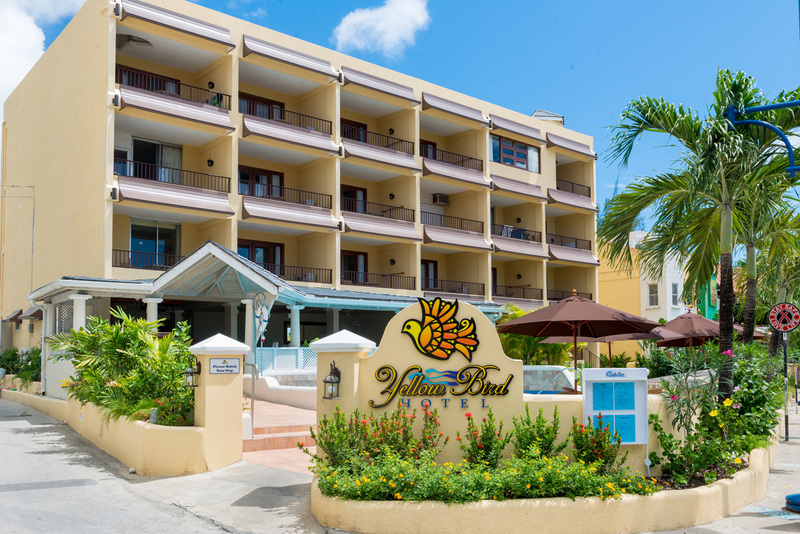 Blue Orchids is a premier Barbados Hotel and Caribbean resort and, as such, is an ideal holiday location for a Caribbean Barbados Vacation. Nestled away on 300ft of the beautiful Worthing Beach on the sizzling south coast, Coral Mist Beach Hotel boasts newly built units, a restaurant, a fitness centre and a novelty shop, and you can choose from exquisitely furnished studios, 2 bedroom and 1-bedroom suites. 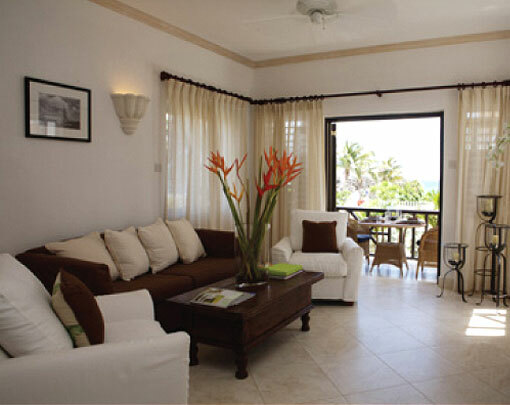 All accommodation is fully air-conditioned, with private bath, kitchen and balconies, overlooking the Caribbean Sea. 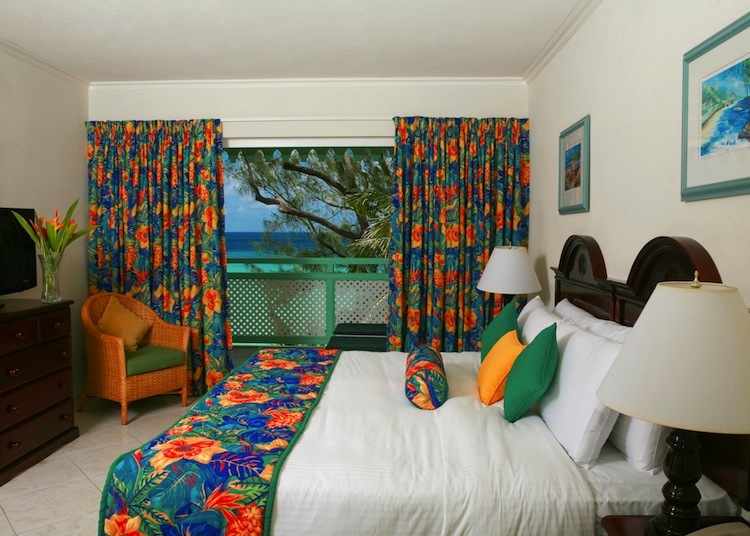 Located on the luxury, west coast in the historic settlement site of Holetown is Mango Bay Hotel. 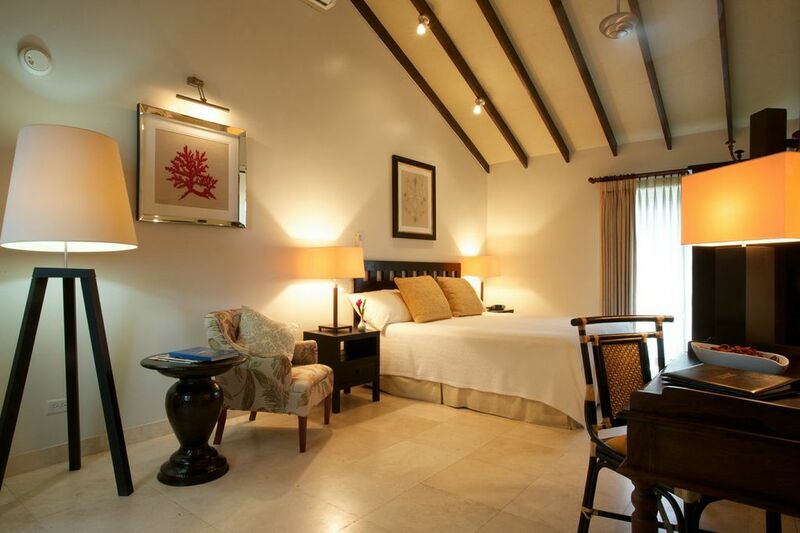 The boutique hotel is an excellent blend of local charm and understated elegance that offers the finest in Bajan cuisine and comfort while exceeding international standards of service and hospitality. 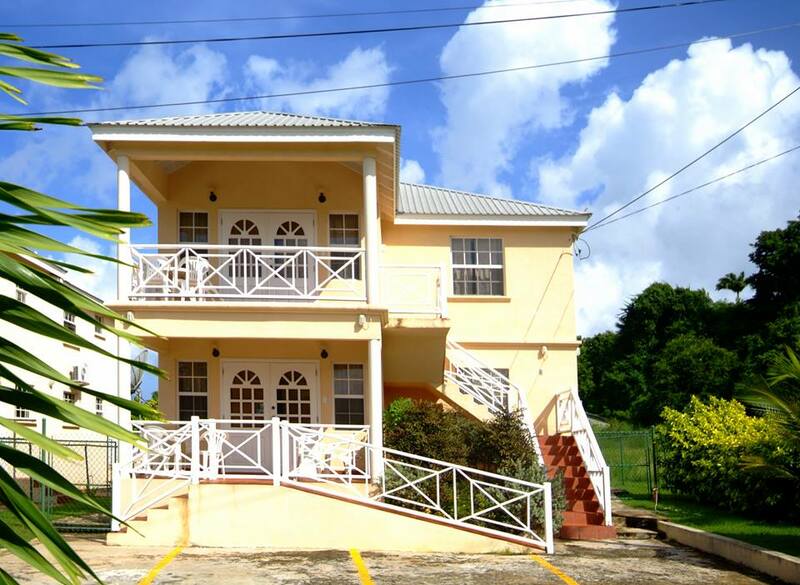 Meridian Inn, a 16-room property apartment hotel, is situated at the quiet end of St. Lawrence Gap, on the south coast of the island. It’s close to the night life and other activities that would make your holiday an unforgettable experience. 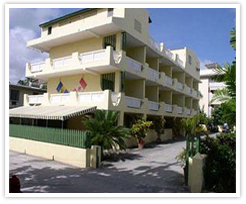 Meridian Inn is a place for an enjoyable holiday or a business trip, with dedicated and friendly staff. Imagine stepping out onto a grand stretch of beach front and being mesmerized by the shimmering blue Caribbean water...Come and discover for yourself a sun soaked holiday under bright blue skies at the lovely Nautilus Beach Apartments. 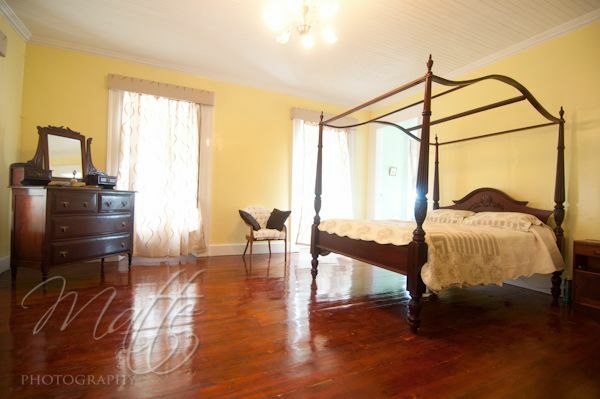 The tranquil surroundings are ideal for families, retirees, couples or groups of friends. Additionally, business travel is a breeze, as the central location makes it an ideal place to stay. Designed to meet a high standard at affordable rates, Palm Paradise offers a guest house and two apartments to choose from. 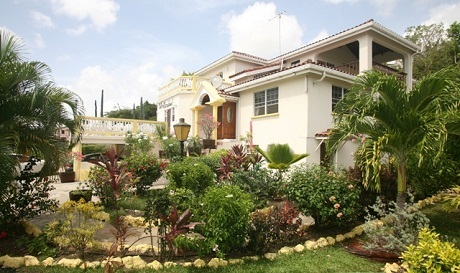 They are set in relaxing tropical gardens and can be your home away from home. At the rear of the guest house are many trees visited early morning and evening by the monkeys and many species of birds. The garden attracts many Humming Birds, and it is a pleasure to watch them fly from bush to bush and pollinate. These and more will make your Barbados vacation a memorable Caribbean Holiday. 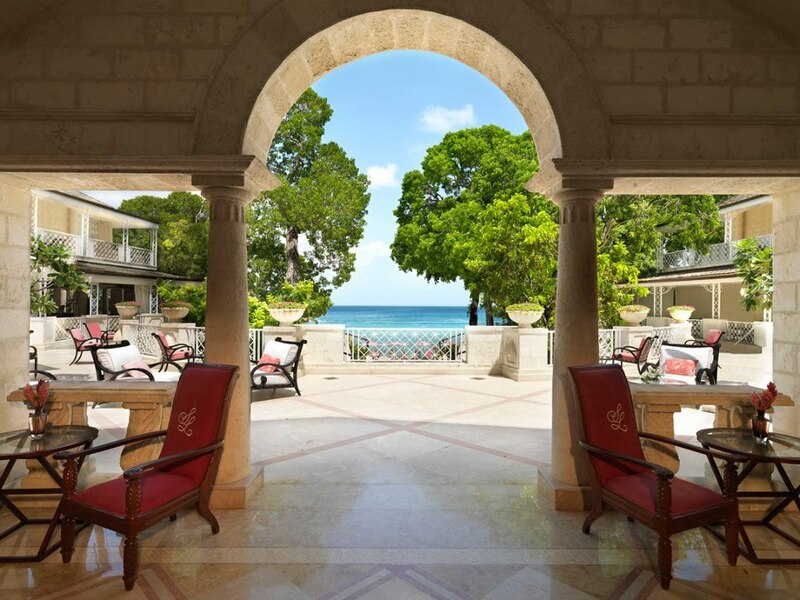 Sandy Lane is the image of serene style set in an idyllic resort setting. Considered the premier vacation address in the Caribbean – it is a haven of tranquility, a romantic, luxury retreat or the perfect location for families who desire the finest holiday experience with endless possibilities for recreation. Silver Point Hotel is a unique boutique hotel that offers the services and amenities of a luxury hotel, set within an intimate environment. It truly epitomizes Caribbean Chic at its finest! This style-savvy hotel is equipped with a modern two-storey open concept bar and restaurant, with Caribbean inspired cuisine. A romantic dramatic deck embraces the hotel's expansive beach frontage. Simply the perfect blend of tranquility and adventure. 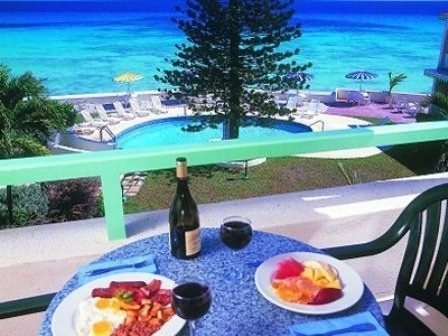 Yellow Bird Hotel boasts fabulous service and great value ocean views from every room. Close your eyes and imagine a stunning Caribbean sunset, with the endless sky ablaze in magnificent shades of amber, representing the end of yet another picture-perfect day in paradise. Just a dream you say? Sometimes, dreams do come true…Found in the sizzling St. Lawrence Gap, party all night and spend all day lying on the beach.